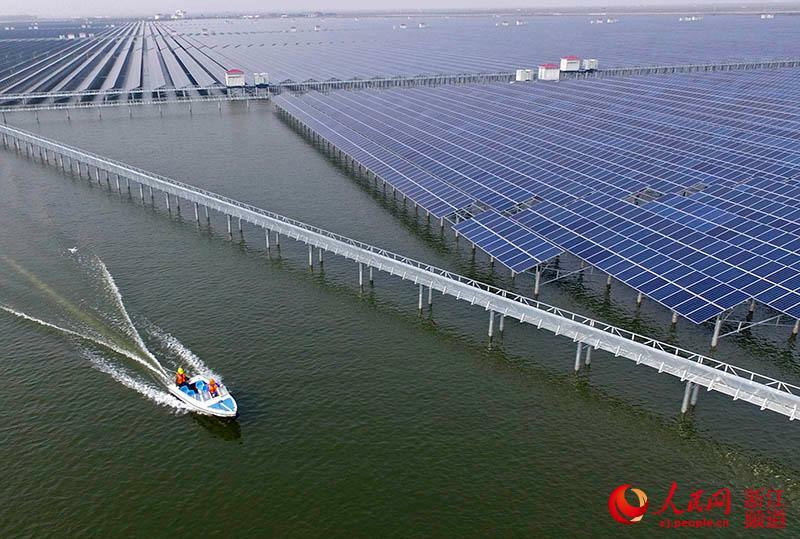 Massive photovoltaic power station on top of the fish farm in Zhejiang shows the China’s innovation, environmentally friendly, sustainable and ecologically complimentary solar project. 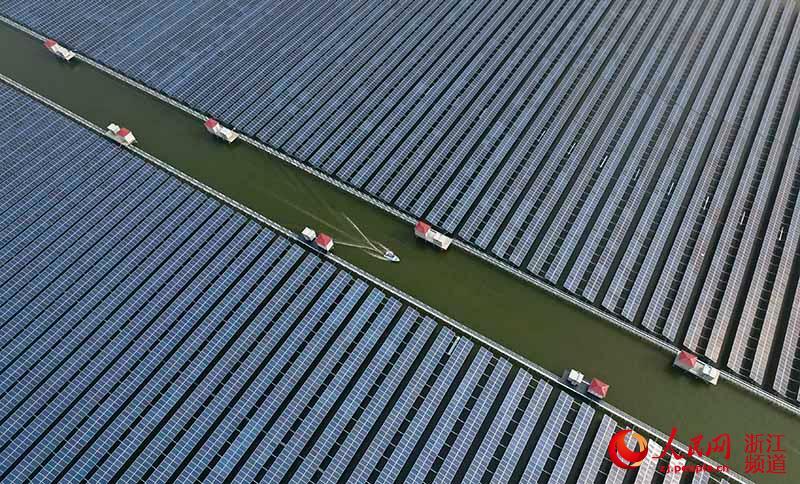 The 200 MW Solar power project is put into operation earlier this month in eastern China, appx. 150 km, south of Shanghai. It is expected to annually generate about 220 GWh of electricity, or enough to cater to the needs of roughly 100,000 homes. A unit of utility State Grid built two 110 kV substations for the project. The installation is considerably larger than a similar 120 MW project that was completed last May in Poyang county, Jiangxi province. 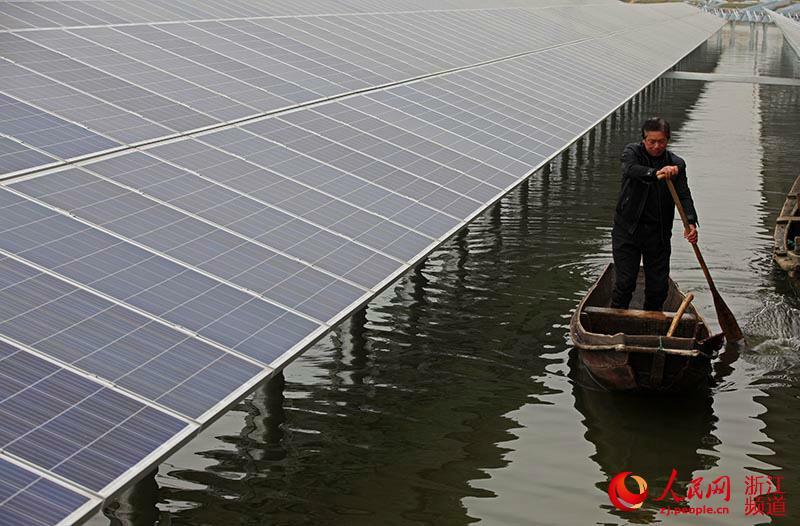 The new mode of power generation features PV panels installed above the pond, which serve to provide shade and facilitate fish farming under the water. The station can meet the power demand of 100,000 households, potentially replacing 7.4 tons of coal. Typical Solar projects are around $1 Million for every 1MW of solar power production. Considering the complexities of this installation, project cost around $260 million is a good achievement, saving in land purchase and the added value to the fish farm.